Thu., Sept. 13, 2018, 10:45 a.m.
RICHLAND – A final spending bill for next year puts the Hanford nuclear reservation budget at $2.4 billion, well above the amount proposed by the Trump administration. It comes with a report that has good news for progress at the vitrification plant, but bad news for supporters of a proposed new way to treat some Hanford waste, possibly sooner and at less cost. Differing spending bills passed by the House and Senate were combined by a conference committee to come up with the spending plan, which will go back to both bodies for approval. The spending plan also includes Department of Energy money for work at Pacific Northwest National Laboratory in Richland. The proposed Hanford cleanup budget is about $15 million higher than the current fiscal year’s spending level, and $342 million more than proposed for the next fiscal year by the Trump administration. The administration had proposed a $327 million cut. In addition to the $2.4 billion, Hanford also will receive money not included in cleanup accounts for such things as safety and security. “While there’s still a lot more work to be done, I am proud that Democrats and Republicans were able to come together once again to reject President Trump’s shortsighted agenda and instead secure this strong investment that moves us closer to the federal government’s moral and legal obligation to Hanford cleanup and the Tri-Cities,” said Sen. Patty Murray, D-Wash. She serves on the Senate Appropriations Committee. The bill report specifies that no Hanford money may be spent on a pilot project called the Test Bed Initiative. The first phase of the project sent three gallons of low activity radioactive waste from Hanford’s underground waste tanks off site for commercial treatment and disposal. It’s a change from current plans to glassify much, if not all, of the 56 million gallons of radioactive waste held in underground storage tanks at the $17 billion vitrification plant under construction. Supporters of the Test Bed Initiative say it could allow tank waste to be treated and disposed of sooner and at a substantially lower cost. The current Hanford budget could cover the cost of the second phase of the pilot project, sending 2,000 gallons of low activity tank waste to Perma-Fix Northwest in Richland to be encased in concrete-like grout. Rather than being disposed of at a Hanford landfill, the treated waste would be sent to a Waste Control Specialists cell for government waste in Texas. The third phase, which is not funded in next year’s new spending plan, would test treatment and disposal of 100,000 gallons or more of tank waste. The spending plan does request more information, however. Within 60 days of enactment of the spending bill, DOE would be required to provide the Senate and House Appropriation Committee a report with cost and schedule information, the impact on a federal court consent-decree setting deadlines for the vitrification plant, and any permit changes that would be needed, including for Perma-Fix. 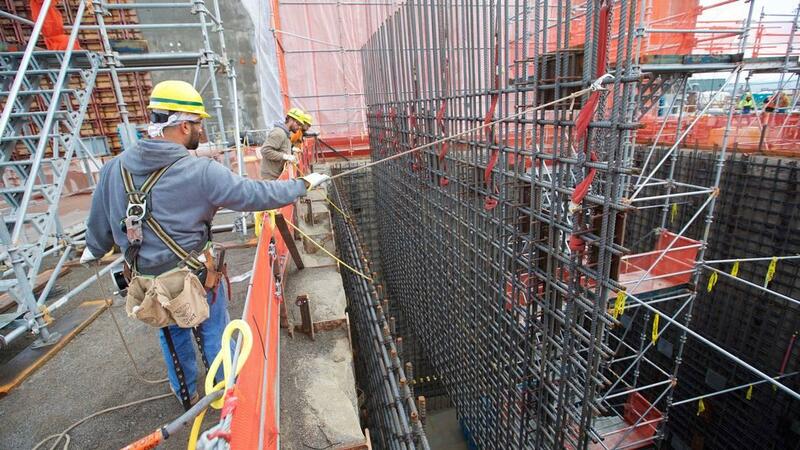 The proposed new Hanford spending plan includes $730 million for the vitrification plant, including $60 million to continue work at the High Level Waste Facility. The focus at the vitrification plant has been on preparing to treat low activity radioactive waste no later than a court-ordered deadline of 2023. The money included for the facility to treat high level radioactive waste would help prepare the plant to meet a court-ordered deadline that it be fully operating by 2036. The Hanford Site is contaminated from past production of plutonium for the nation’s nuclear weapons program. The fiscal 2019 spending bill includes nearly $6.6 billion for the DOE Office of Science, which is responsible for 10 national laboratories, including PNNL. The amount in the final bill is about $1.2 billion more than in the administration’s budget proposal. The bill includes $24 million for work on the Energy Sciences Capability at PNNL. Construction on the $90 million building with world-class chemistry capabilities could begin as soon as mid-2019. Research at the Richland lab is paid for with money from different programs, some of which would be helped by the spending bill. The bill includes almost $2.4 billion for DOE’s Office of Energy Efficiency and Renewable Energy, which is nearly $1.7 billion more than the president’s budget proposal. Some of the money would support research at PNNL and also the University of Washington and Washington State University. Other money in the bill would support the Environmental Molecular Sciences Laboratory and the Atmospheric Radiation Measurement User Facility, both on the PNNL campus. They provide access to state of the art equipment for more than 1,800 researchers annually. Published: Sept. 13, 2018, 10:45 a.m.